For those of you who are like me, and typically have 30-50+ tabs open in Chrome at a time, The Great Suspender might be a very useful extension for you. 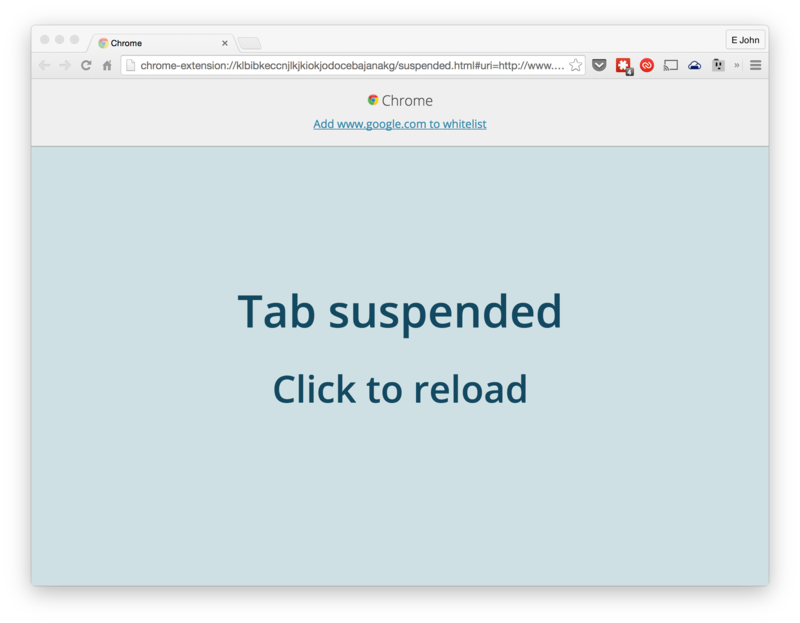 It allows you to suspend tabs to be reloaded when you actually visit them again. I get into a lot of situations where I’ll have a browser window dedicated to researching a specific topic, or poking around the docs of a project, or whatever. When I switch tasks to do other things, I like to keep those sessions around, but don’t necessarily want them in memory. This helps with that, to drastically reduce the amount of RAM that Chrome needs to run. I went from being nearly pegged at 14-15GB down to 10GB just by suspending a couple windows’ worth of tabs. There was an announcement last week that Chrome may be getting this functionality built-in. I’m certainly looking forward to a release of Chrome that won’t require an extension to get this feature! Until then, The Great Suspender works reasonably well.